In this post, we return to cross-border insolvencies and examine one of the first decisions issued in 2018 by a bankruptcy court in a chapter 15 case: In re Energy Coal S.P.A., No. 15-12048 (LSS), 2018 Bankr. LEXIS 10 (Bankr. D. Del. Jan. 2, 2018), where the court allowed a creditor to liquidate its claim in a lawsuit brought against a debtor in the U.S., but required the creditor to seek collection from the debtor in the country where the foreign main proceeding was filed. The upshot of the decision is that respect for the foreign main proceeding and the concept of comity trumped contractual choice of law and venue provisions. The debtor, Energy Coal S.p.A., filed an insolvency proceeding in Italy, and the court there later approved a debt restructuring plan (Plan). In the interim, the foreign representative of the debtor filed a chapter 15 petition in Delaware and obtained recognition of the Italian case as a foreign main proceeding. The debtor planned to continue as a going concern and pay creditors from future revenues. The foreign representative sought recognition in the U.S. of the order approving the Italian Plan and approval of procedures to close the chapter 15 case. The foreign representative also requested an injunction to bar creditors from seeking judgments against the debtor in the U.S. or from executing on the debtor’s assets in the U.S. The foreign representative initially asserted that the supplier must bring the lawsuit in Italy, but during the adjudication of the motion agreed that the lawsuit could be brought in Florida. The foreign representative continued to insist, however, that the supplier would need to seek satisfaction of any judgment in the Italian court under the terms of the Plan there. The supplier argued that it shouldn’t be put to the cost and inconvenience of seeking collection in Italy. Bankruptcy Judge Laurie Selber Silverstein initially noted that the matter was a core proceeding because it concerned recognition of a foreign proceeding and a related injunction, matters that “could only arise in a chapter 15 case.” 2018 Bankr. LEXIS 10, at *12. As such, Judge Silverstein said the presence of both “statutory and constitutional authority” would enable her “to enter a final order” on the motion. Id. On the substance of the motion, Judge Silverstein looked to Bankruptcy Code sections 1521 and 1522. Section 1521 gives a court “broad discretion to ‘grant any appropriate relief’ to further the purposes of chapter 15.” Id. at 13 (quoting section 1521). 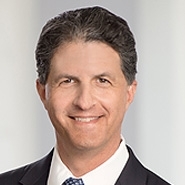 Judge Silberstein observed that “[p]articularly in the bankruptcy context, ‘American courts have long recognized the need to extend comity to foreign bankruptcy proceedings,’ because ‘[t]he equitable and orderly distribution of a debtor’s property requires assembling all claims against the limited assets in a single proceeding; if all creditors could not be bound, a plan of reorganization would fail.’” Id. at *13 (quoting In re Atlas Shipping A/S., 404 B.R. 726, 733 (Bankr. S.D.N.Y. 2009)). So Judge Silberstein’s decision hinged on whether the choice of law and venue clauses in the parties’ contracts should yield to the concept of comity embedded in chapter 15. Judge Silberstein said the supplier had cited no case law that would justify putting the contractual provisions ahead of comity. Looking to other case law, she noted that “U.S. bankruptcy courts have not hesitated to require foreign creditors to file their claims and to litigate in our courts if they wish a distribution from a U.S. debtor’s estate. It is equally appropriate to expect U.S. creditors to file and litigate their claim in a foreign main bankruptcy case.” 2018 Bankr. LEXIS 10, at *17 (quoting In re Artimm, S.r.L., 335 B.R. 149, 165 (Bankr. C.D. Cal. 2005)). Accordingly, while the supplier could pursue its claims in the U.S., it would have to pursue recovery in Italy. [i] The parties had disputes over other issues that are beyond the scope of this post.